XSEED had a heck of an E3, with titles such as Shantae, Corpse Party, Trails of Cold Steel's sequel, and Story of Seasons: Trio of Towns all showing the publisher's versatility, and its understanding of the kind of niche experiences that people want to play. 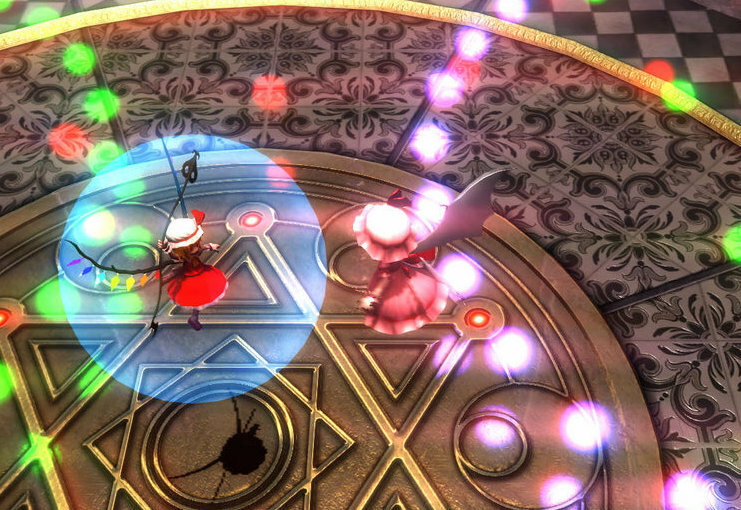 Among its eclectic range, Touhou Scarlet Curiosity might just be the most odd of all. This is a JRPG that has its heritage in a franchise of bullet hell shooters, and seems to be doing its best to actually merge those two completely different genres together. And yet, somehow it all seems to be coming together in a way that works. It's a gorgeous title, it looks like the action is fast and furious, and yet it has all those JRPG trappings and design elements that makes that genre so enticing. Originally released as a fan-made indie title for PC, Scarlet Curiosity instantly gained a following for its beautiful soundtrack, impressive art direction, and high-speed action, and the leap to PS4 further refines the game with 1080p visuals running at a smooth 60 frames per second. Players can choose to play as the titular vampire, Remilia Scarlet, who relies on her magic and vampiric abilities to defeat enemies at her own pace, or her devoted maid, Sakuya Izayoi, who prefers close combat as she tears things up with her time control powers and infinite supply of knives. Fans of the Touhou series will find themselves right at home as the game is packed to the gills with fan-favorite characters, some of whom will challenge Remilia and Sakuya to intense boss battles that fill the screen with projectiles in a manner worthy of the renowned Touhou ‘king of bullet hell’ name. While containing all of the combat, platforming, and boss fights of an action game, experience and equipment systems allow players to level up, toughen up, and unlock various special abilities and magic spells to customize their gameplay experience. This game could still go anywhere, but as it's one I hadn't really paid attention to previously, its showing at E3 has now certainly got my attention. Well done, XSEED.